Diglipur town is the largest town in the North Andaman. It is swarmed by the tourists all year round to see the beautiful natural wonders stashed here. Diglipur houses mud volcanoes and a superb marine life. The Saddle Peak and the Kalpong River are also the two major attractions of the town/island. The various places near to the town/island that are also visited by the tourists are Ross and Smith Islands, the Saddle Peak National Park, the beaches at Ram Nagar, Kalipur and Lamiya bay and mud volcanoes. Rose-Smith Islands are the twin islands of the archipelago. One can explore the unsullied island via camping. The beach is frequented by tourists to see the four rare species of turtles such as Olive Ridley, Leather Back, Hawks Bill and Green turtles. 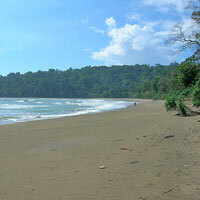 The beach is located 18 km away from Diglipur. 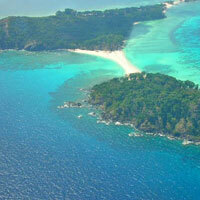 The tourists here can enjoy an array of water sports such as scuba diving, snorkeling and trekking. The beach is located on the north side of Diglipur. The park is situated 5 km away from Diglipur and one can spot many wild animals here such as wild pigs, water monitor lizards, saltwater crocodiles, whales, dolphins, and Andaman imperial pigeons etc. The mud volcano of Diglipur is comparatively bigger than mud volcano in Baratang. 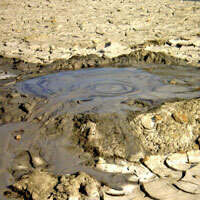 The mud volcano of Didlipur is one of the popular tourist attractions of North Andaman. It is an active volcano and one has to traverse the jungle to see it.